I have a confession to make: I used to be one of those people who looked down their nose at graphic novels and comics and openly judged others for reading them. In frustration, I even said once, “It’s not really reading! It’s just a bunch of pictures!” (Yeah, I cringe thinking about it.) Sorry, everyone, for my past-self being such a huge jerk. You will be happy to know that I have since cooled my jets when it comes to judging how, or what, others read. Reading is such a personal experience, and I am now a firm believer that any amount of reading is important, and it counts, even if it’s just the back of your cereal box in the morning. Last year I set out on a journey to actually sit down and read a graphic novel and find out what “works” for me. Since then, I think I’ve read maybe a hundred or so? Give or take? Safe to say, I am a massive graphic novel convert. Graphic novels are such a unique reading experience, and the type of joy I find reading a really good series can only be compared to spending sunny afternoons at my grandma’s house as a kid, flipping through her pile of newspapers to find cartoons I hadn’t read before. Her favorite was "Family Circus" — mine was "Peanuts." Since my graphic novel knowledge went from “'The Walking Dead' was comics first right, riiight?” to having read over a dozen series and being well-versed in the format in the span of only a year, I came up with a few suggestions of some lesser-known graphic novels that deserve more love and attention. Two of them can be found on Hoopla (spoiler alert, they are: "Alex + Ada," and "Afterlife with Archie"). Conveniently enough, you are allowed a total of five checkouts per month on Hoopla, which is more than enough to get every volume available of these two series. Binge reading, anyone? 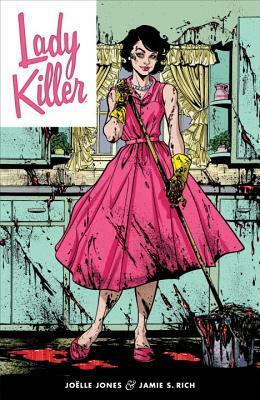 "Lady Killer" by Joelle Jones (Dark Horse Comics) Josie Schuller is the ideal 1950s woman — a gorgeous housewife. She has an immaculate wardrobe (so what if she gets the occasional bloodstain on her dress?) that even June Cleever would kill for, a husband that is both handsome and charming (how refreshing), and adorable twin daughters (who are, of course, blond). Josie also moonlights as an assassin who knows her way around the kitchen knives. So, you know, she is just your typical American housewife. 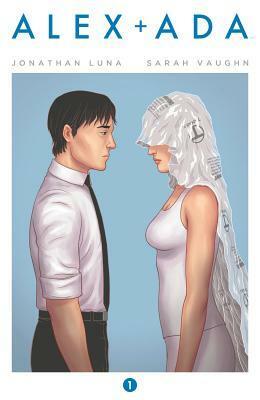 "Alex + Ada" by Sarah Vaughn (Image Comics) "Alex + Ada" is set in the not-so-distant future and follows a young man named Alex and a female android named (you guessed it) Ada. On his birthday, Alex is given a somewhat controversial gift from his grandmother — a companion robot to help him move on from his ex-girlfriend (thanks, nana). In this universe, while humans heavily rely on androids as servants, companions, and the like, the tension between the two are rising after a somewhat sentient android went all Terminator on a group of people, killing many. Despite the political and legal ramifications, Alex and Ada develop a “star-crossed lovers” relationship. Don’t let the simplistic art style and the plot summaries fool you — this graphic novel series is not really a romantic comedy. In a three-volume arc, it explores complex themes like: Where does life begin? Are androids considered alive? Can Artificial Intelligence be enough to grant androids individuality and independence? How can love between a human and an android be equal, when technically one legally owns the other? It certainly brings to mind historical struggles and modern-day discussions of equality and equity. This is my “sleeper hit” series of the year, so why aren’t you reading it already? Readers might be familiar with the Archie comics, which have been a part of our collective experience since the late 1930s — appearing in grocery stores and even as its own cartoon show decades ago. Riverdale is still the same magical place, where a soda shop is the best place to take your date, and a certain redheaded boy is in love with two certain girls and can’t possibly choose (I’m on team Veronica, by the way) … only now the beloved characters have cellphones. 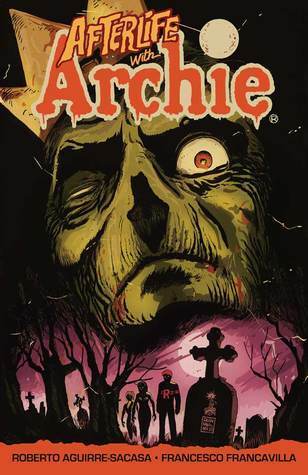 This reboot of the classic series presents the question, “What would happen if the idyllic Riverdale were overrun with zombies?” What results is a thrilling story where best friends are pitted against one another and where no one is safe — not even Jughead’s adorable dog (or Jughead himself, for that matter), who begins the original plague. Humor is used throughout to cut through the darkest moments, and there are scenes in here so emotional, I actually had tears in my eyes as I watched a character encounter a zombified version of their loved one — proving that this franchise has still got it. As a bonus, I’d also like to suggest "The Chilling Adventures of Sabrina," another horror retelling by Archie Comics, where the witches are truly terrifying. This is no Melissa Joan Hart, people. — Kimberly Lopez is a Reader’s Services Assistant at Lawrence Public Library.